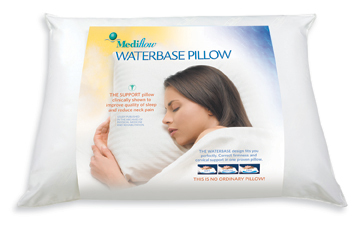 Adjusts to any sleeping position and provides responsive support for the head and neck. Helps relieve cervical pain and associated headaches. Has a soft, hypoallergenic fiber filling supported by an easy-to-fill water pouch. Simply add water, to adjust the support level and find the setting that's right for you. Great pillow for practitioners to recommend to their patients to improve sleep and reduce neck pain.